Amazon.com Price: $36.65 (as of 24/04/2019 21:06 PST- Details)	& FREE Shipping. 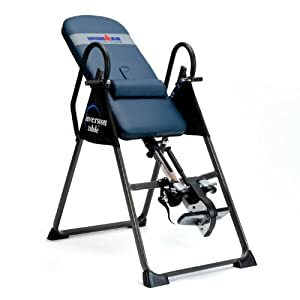 This large inversion guide can serve as a helping hand when using your inversion table. 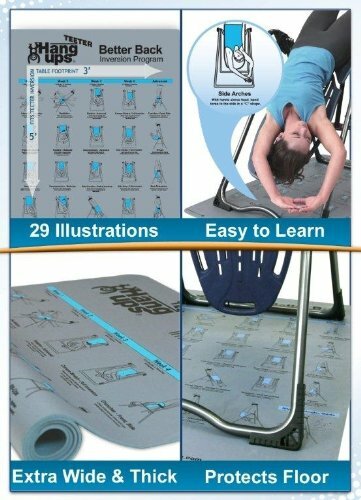 The inversion program mat designed by Teeter offers 25 illustrations highlighting movements, stretches and exercises that can be performed on your Teeter inversion table. 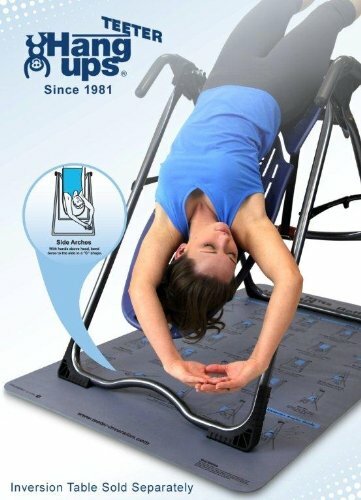 The large mat can be placed under the feet of your inversion table so you can easily view the 24 illustrated movements when inverted. In addition to the movement illustrations there is also an illustrated inversion angle diagram that can be used to quickly see what angles you are inverting at. The mat is washable and features non skid protection when used on hard surfaces. The mat can also double as a yoga or floor exercise mat since it measures 60 L x 36 W x 0.16 H inches. It is true that this mat may not be for everyone. However if you have ever tried watching a Youtube video for example to learn an exercise program it can often be hard to take it all in. With this easy to view guide, you can make your way through a variety of inversion table stretches. You can even have a go at the more advanced exercises shown on the mat after a little practice, all at your own pace. Amazon.com Price: $99.00 (as of 24/04/2019 21:06 PST- Details)	& FREE Shipping.